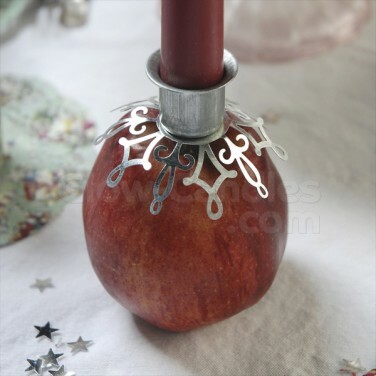 Add the finishing touch the festive displays and Christingle oranges with an ornate silver candle spike. 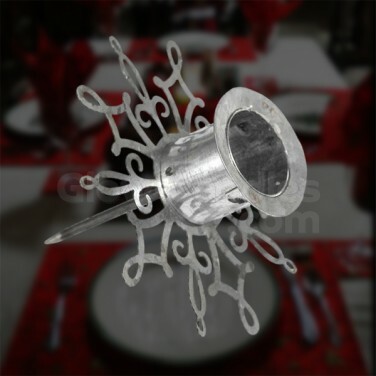 Perfect for Christingle decorations, Advent Spiral Walks and festive displays, this ornate silver candle spike fits into oranges and other fruits or foam to support longer length dinner candles. It's intricate snowflake design compliments your displays for a beautiful festive feel and it's suitable to support candles with a 2cm diameter at the base.